By Drs. Aaron Neinstein and Christopher Longhurst. In a major advance for patients, the nearly 5 million people who receive care annually at any of the University of California medical centers – including Davis, Irvine, Los Angeles, San Diego, and San Francisco – can now securely download their medical records data to their own Apple smartphones. Apple was the first smartphone vendor to provide this functionality (announcing its Health Records feature in 2018); so for now, the guidance below is limited to patients who have iPhone devices. In a Viewpoint article published January 11, 2019, in The Journal of the American Medical Association (JAMA), Dameff and collaborators found that 90% of early adopters of this technology at UC San Diego Health reported improvements in understanding their own health; sharing health information with caregivers, family, or friends; and facilitation of conversations with clinicians. If you are a patient at a UC Health system, what does this mean for you? You can access, manage, and use your own health data. You can now access your medications, allergies, vital signs (e.g., blood pressure), medical conditions, immunizations, lab results, and procedures. This means, for example, that you can combine your lab test results from all of the UC health systems with those from other testing laboratories, including LabCorp, Quest, or other health systems where you receive care. This may also help you remember things, such as the dates of medical visits, surgeries and procedures, or the history of medications you have been prescribed. In most cases, you can see which health care provider and institution supplied the data. If you want to use Apple Health Records to manage your health data, you’ll have to complete a one-time set-up for each of your UC Health (or other) accounts. You will need to have and use your MyChart patient portal account log-on information to verify your identity. Going forward, your health records data will be pulled in automatically by a direct, secure connection between the Health app on your smartphone and your UC Health system. You should proactively protect your privacy. Bringing data from your UC Health record into Apple Health Records allows you to store and manage those data on your device. You can then allow any third-party application of your choosing to access (‘read’) your combined set of health data. We strongly encourage you to read carefully the privacy and data use policies of each third-party application you choose to allow to have access to your health data on your device. Once you have pulled your health records data into Apple’s app, you are responsible for managing and protecting the data you keep on your phone. You are in control of which other third parties you share your health data with. Each of these third parties will have their own policies and procedures for how they guard and share your data. Learn how to view and manage the applications that have requested access to your Health Records. You can keep using your local health system’s patient portal (UC Davis Health, UCI Health, UCLA Health, UC San Diego Health, and UCSF Health) for activities related to your medical care, including messaging your medical team, requesting medication refills, scheduling appointments, and more. Note, too, you may also be able to download a mobile app that complements your local patient portal (e.g., MyUCSDHealth or MyUCIHealth) or use the general Epic MyChart app. You can create an emergency medical ID card with Apple Health that first responders or medical professionals can access – even if your screen is locked. This can include your blood type, important medical conditions, and whether or not you are an organ donor. This is an exciting time for patients to take more control of their own health care. And, this is truly in your control – your doctor or UC medical team cannot authorize Apple Health or your phone to pull in or share any of your data – it is up to you! 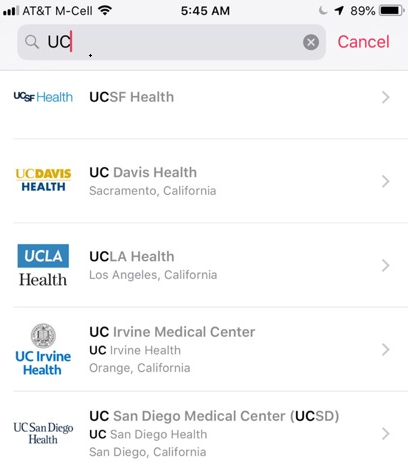 Patients who receive care across two or more UC Health systems and use the Apple Health Records app can also begin to see an integrated view of their health data, helping to fulfill a pledge the UC Health system made to the Obama Administration in 2016 to empower patients with their data. Developers can use the Apple Health Records API to create apps that can securely use your health data with your explicit permission. While the list of apps that do this today is small, we expect the number to grow. In the future, your doctor may be able to recommend applications, and UC researchers will develop new applications, to help you proactively and conveniently manage your health. Imagine, in the future, you might use an app to explore personalized eligibility for clinical trials across all five NCI-designated cancer centers in the University of California. We hope to see similar capabilities available to a broader set of our patients beyond those who use Apple products. We believe that all patients have a right to access their own health data in a safe and secure way and to choose which tools they want to use to manage their health. Empowered patients are smart patients! 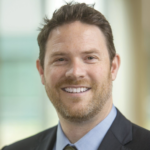 Aaron Neinstein, MD, is director of Clinical Informatics at the UCSF Center for Digital Health Innovation. 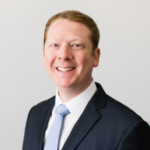 Christopher A. Longhurst, MD, MS, is chief information officer and associate chief medical officer at UC San Diego Health.